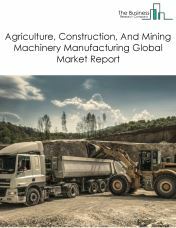 The machinery manufacturing industry involves the production of a vast range of products from huge industrial turbines to the common ceiling fan. The main purpose of machinery is to reduce or eliminate the amount of human work required to accomplish a task. The wide range of products produced by the machinery manufacturing industry means that it includes establishments of all sizes. In general, however, the larger and more complicated the machinery is, the larger the manufacturing facility must be to produce it . Major industries served by the machinery industry include agricultural, construction, energy, infrastructure, mining and transportation. 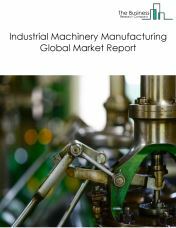 The machinery manufacturing market consists of sales of industrial and commercial machinery by entities (organizations, sole traders or partnerships) that manufacture industrial and commercial machinery. These establishments assemble parts into components, sub-assemblies and complete machines. 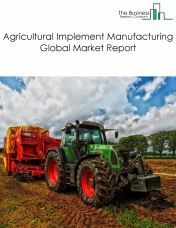 The agriculture, construction, and mining machinery manufacturing market consists of sales of farm machinery and equipment, power mowing equipment, and other powered home lawn and garden equipment; construction machinery, surface mining machinery, and logging equipment; and oil and gas field and underground mining machinery and equipment by entities (organizations, sole traders or partnerships) that manufacture agriculture, construction, and mining machinery. The industrial machinery manufacturing market consists of sales of industrial machinery such as food and beverage manufacturing machinery, semiconductor manufacturing machinery, sawmill and woodworking machinery (except handheld), machinery for making paper and paper products, printing and binding machinery and equipment, textile making machinery, and machinery for making plastics and rubber products.by entities (organizations, sole traders or partnerships) that manufacture industrial machinery. 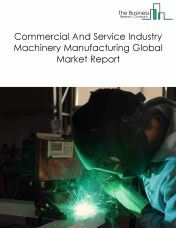 The commercial and service industry machinery manufacturing market consists of sales of commercial and service industry machinery by entities (organizations, sole traders and partnerships) that manufacture commercial and service industry machinery such as optical instruments, photographic and photocopying equipment, automatic vending machinery, commercial laundry and dry-cleaning machinery, office machinery, automotive maintenance equipment (except mechanics hand tools), and commercial-type cooking equipment. The ventilation, heating, air-conditioning, and commercial refrigeration equipment manufacturing market consists of sales of The ventilation, heating, air-conditioning, and commercial refrigeration equipment by entities (organizations, sole traders and partnerships)that manufacture ventilation, heating, air-conditioning, and commercial refrigeration equipment, including heating equipment (except warm air furnaces) and air-conditioning and warm air heating equipment and commercial and industrial refrigeration equipment . 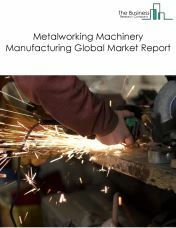 The metal working machinery market consists of sales of metal working machinery by entities (organizations, sole traders and partnerships) that manufacture machines such as cutting tools, metal cutting and metal forming machine tools, metalworking machinery accessories, rolling mill machinery, assembly machinery, fabricating machines, industrial molds, conversion or straightening equipment, special dies, tools, jigs, and fixtures. 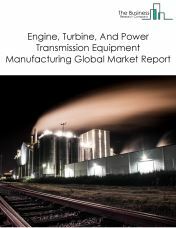 The engine, turbine, and power transmission equipment manufacturing market consists of sales of turbines, power transmission equipment, and internal combustion engines (except automotive gasoline and aircraft).by entities (organizations, sole traders or partnerships) that manufacture engine, turbine, and power transmission equipment, including clutches and brakes (except electromagnetic industrial controls, and motor vehicle), diesel and semi diesel engines, electric outboard motors, internal combustion engines for hybrid drive systems (except automotive), plain bearings and bushings (except internal combustion engine), power transmission pulleys, speed changers, speed reducers, turbine generator set units, universal joints (except aircraft, and motor vehicle). 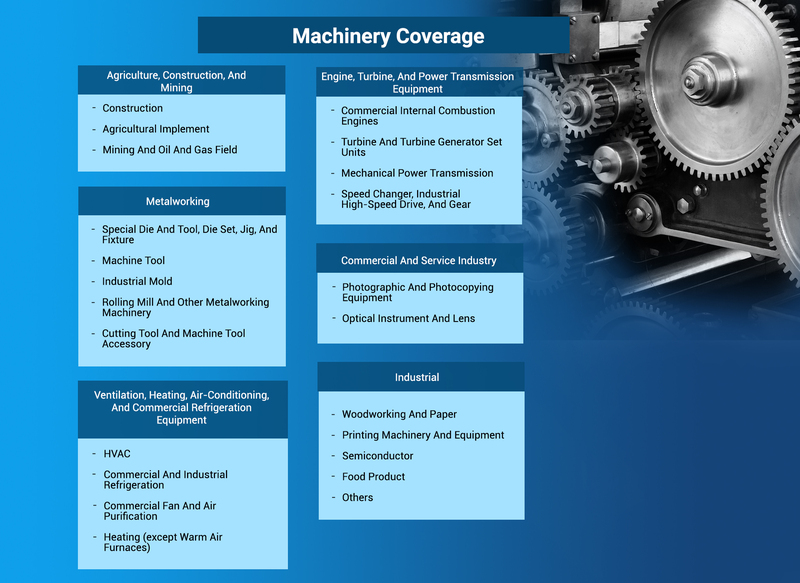 The other general purpose machinery manufacturing market consists of sales of other general purpose machinery by entities (organizations, sole traders or partnerships) that manufacture pumps and compressors, material handling equipment, soldering and welding equipment and all other general purpose machinery. After the launch of the first 3D commercial printers in the 1900s, the printing market witnessed a transformation which led to the development of the 3D printing market. 3D printing or additive manufacturing is a process of producing 3D solid objects from a digital file. This 3D printing technology is further replacing the conventional methods of printing in industries which include architecture, automotive, aerospace and defense, electronics and medical equipment. This is mainly due to the growing awareness of the benefits of 3D technology such as mass customization, reduction in lead time and tooling costs, easy to use maintenance, and providing high accuracy among consumers. 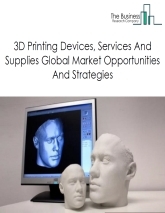 The 3D printing market is estimated to grow significantly by 2022. However, factors such as high cost of the 3D printer system, lack of experts in 3D technology and concerns over product quality by end users might restraint the growth of the global 3D printing industry. The range of materials that are currently being used in 3D printing includes plastics, porcelain, ceramics, stainless steel, carbon, graphene, titanium and other metals. This list is not exhaustive; new variations on materials or alloys are made every day. The first commercial 3D printers were launched in the early 1990s, and since the early 2000s, 3D printing technology has evolved significantly in terms of price, variety and quality of materials, accuracy, ability to create complex objects, ease of use and suitability for office environments. 3D printing is already replacing traditional prototype development methodologies across industries such as architecture, automotive, aerospace and defense, electronics, healthcare, footwear, toys, educational institutions, government and entertainment, underscoring its potential suitability for an even broader range of industries. 3D Printing can deliver more benefits than just the ability to develop new devices. The two greatest problems that most manufacturers face when bringing a device to market are tooling costs and stringent regulatory processes. 3D printing has the potential to reduce tooling costs and accelerate lead time and regulatory submissions substantially when compared to conventional methods. 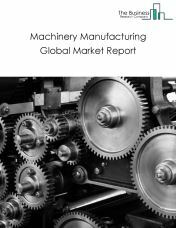 The machinery manufacturing market consists of sales of industrial and commercial machinery by entities (organizations, sole traders or partnerships) that produce industrial and commercial machinery. These establishments assemble parts into components, sub-assemblies and complete machines.